All roller materials are EN 24 & hchcr with hot chromed. The machine is controlled through PLC and HMI. 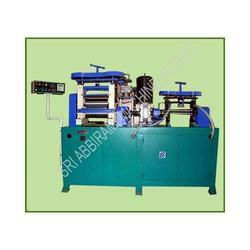 During operation the hchcr roller is subjected to heat upto 220 degree centigrade. Heat transfer from the roller to the other areas is arrested by synthase material and high temperature fluids.